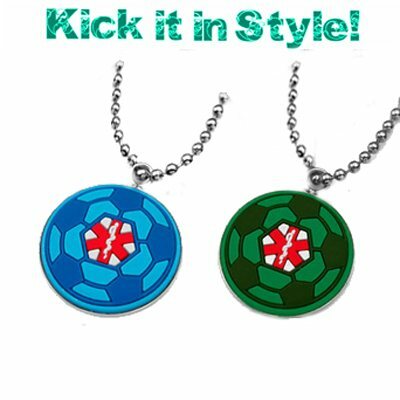 Select your favorite color - Kick it in Style with our fun soccer ball pendant, includes stainless chain! 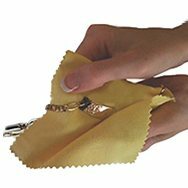 The stainless steel pendant back is engraved with your childs personal medical information. Pendant is available in green, and blue! Not Recommended to wear in Pool or at the Beach. Okay for shower! **This item should not be worn during sports to avoid choking hazard. Be sure and leave appropriate spacing between words!